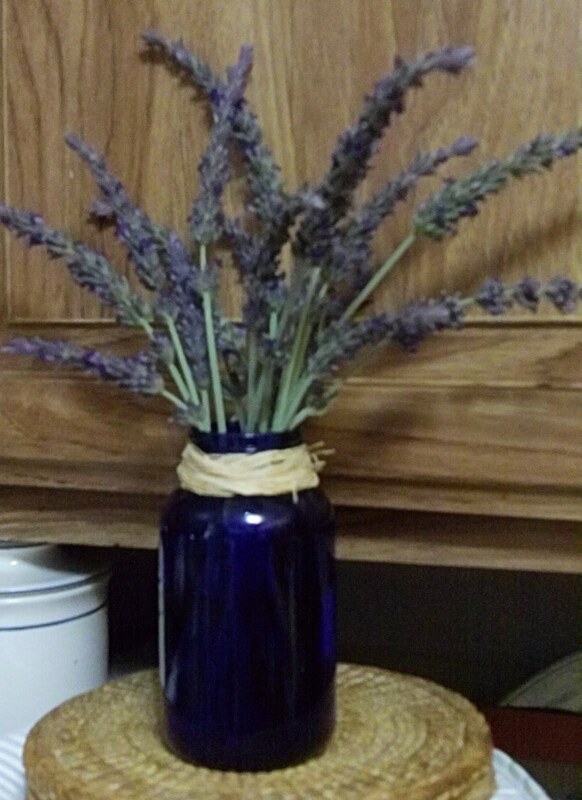 Lavender from the garden. This was cut from a plant that I purchased last year at Trader Joe's for about $7.00. Lavender has always been a challenge for me but these plants are doing very well. TJ's sells some lovely plants and herbs. Your lavender is really pretty. The rain yesterday was nice. Too bad it quit so soon. It was good for the plants and good for the soul.